First up - Angelic Bakehouse. You've eaten sprouted grain bread, right? It's delicious stuff -- and it's good for you, to boot. 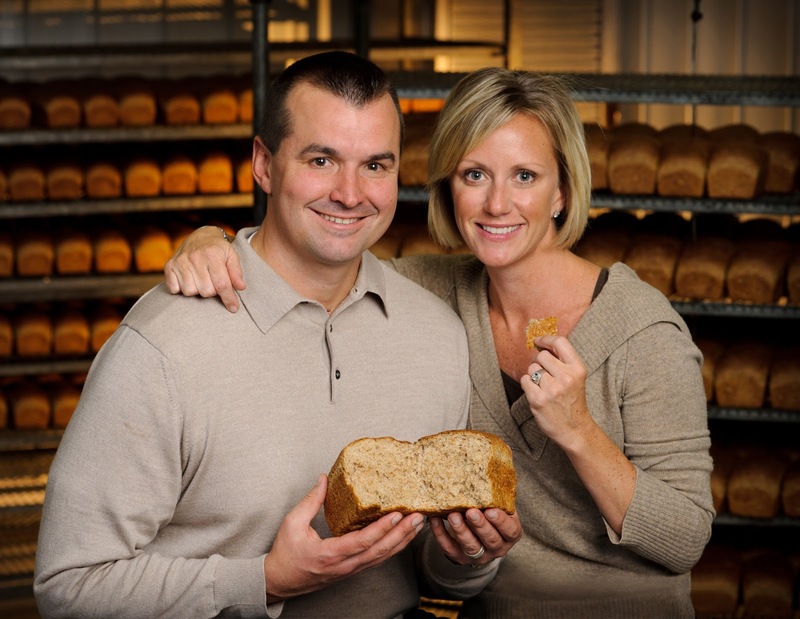 Well, Jenny and James Marino, owners of Angelic Bakehouse know just about everything there is to know about the benefits of sprouted wheat. But, that wasn't always the case. The truth is, Angelic Bakehouse has been in the bread-making business for more than 40 years. Founded in 1969 by the Cyrus family in Waukesha, WI, the company was originally named Cybros (Cyrus Brothers - get it?). Believing that bread should be nutritious, delicious, and made from Mother Nature's finest ingredients, the family was among the first champions of sprouted grains. In 2009, the company was purchased by Jenny and James Marino. So how did a stay-at-home mom with a marketing background and two daughters and a finance guy come to own a bread company? The answer is simple. They fell in love with the bread after just one bite. Wanting a name that perfectly reflects their company, its products, and what they're passionate about, Cybros became Angelic Bakehouse in 2013. Both meaningful and memorable, it's a name that represents the purity, goodness, and quality of all their products and every ingredient that goes into them.